Every fullmoon devoted buddhists gather around white Ruwanwelisaya stupa in Anuradhapura, Sri Lanka. They carry over 200m long linen to be placed around the temple to honour Buddha. 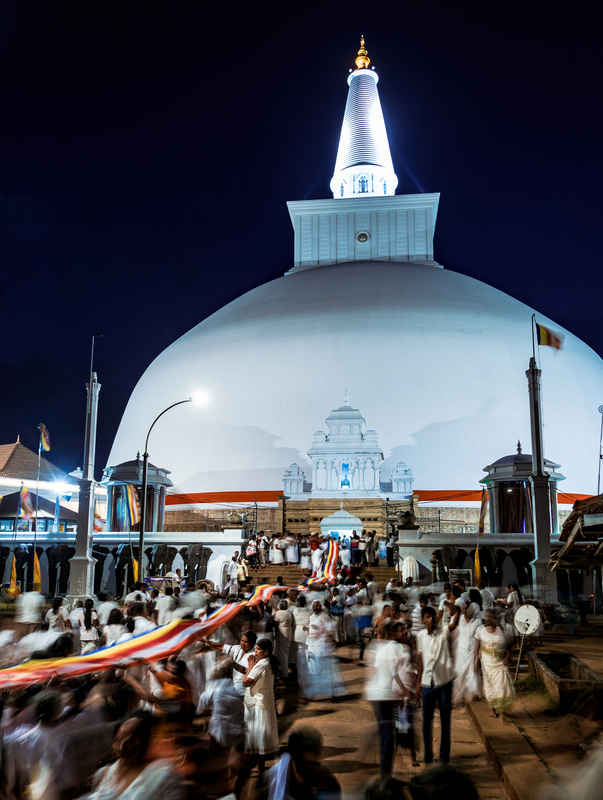 Ancient Anuradhapura city is home to some of the oldest and biggest stupas in the world. This particular temple was built in 140 BC. Standing 103 meters tall and with circumference of 290 meters this stupa was one of the biggest monuments of it’s time. Tip: Even though Anuradhapura area is pretty nice it doesn’t unfortunately compare with Asias biggest and grander sites. If you are seriously into temples, you should consider visiting Bagan in Myanmar or Angkor Wat in Cambodia instead.